Security Companies Melbourne based are many but none have the speciality and team like Guardia. Here are a few services and ways of doing business that stand us out from the crowd. Convoy protection and transport security functions to ensure a valuable vehicle based asset or interest reaches its destination without interruption, disturbance, or interference. 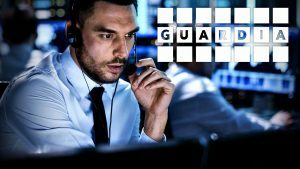 Combining real time situational and security monitoring with networked communication to additional security elements and technicians, Guardia transport protection delivers comprehensive results. Transport security requires strategic initiative and intelligent planning, both part of the Guardia service package designed to minimise security risk. Guardia has the expert industry knowledge combined with experienced and highly-trained security staff to ensure success at every stage of the operation. Guardia armed guards combine experience, training, and professionalism to deliver outstanding results for clients that require an exceptional level of protection and security. Adaptable to a range of security situations, our armed guards provide close protection as well as site protection capability, ensuring that your interests are comprehensively protected. Vigilance and responsiveness are key functions of the professional armed guard, coupled with experience and training that ensures optimal outcomes in complex security situations. Our armed guards are licensed by Victoria Police, and have undertaken nationally accredited training programs in the use of specialised equipment such as firearms. We choose the most professional and responsible individuals for service in our armed guard unit, ensuring that clients receive exceptional service at every level, during each stage of their security operation. Bodyguard services are highly diverse by nature of client-based circumstance and requirements, with professional bodyguards required to adapt to range of settings and security situations at short notice. Guardia bodyguard services centre around the objectives and routine of the client, ensuring that they are kept secure and up-to-date regarding security situations wherever they go. With a combination of pre-emptive, communicative, and interpersonal strategies, a Guardia bodyguard uses their exceptional degree of physical and psychological readiness to meet all security requirements. Effective crowd control security is more complex than many standard security roles, requiring individual security professionals to act alone and as a team to monitor and regulate a large number of people within a specified boundary. Guardia’s event and function security team is made up of the best crowd control practitioners, with extensive experience and training in a range of scenarios where crowds or gatherings occur. Guardia’s canine security unit provides a range of dog patrol, guard dog, and k9 security functions for a diverse range of clients. Suitable for site monitoring and security, close protection, and guard roles our canine unit is flexible and experienced. Dog security is especially suitable for clients looking to secure a large or vacant site that is difficult to protect through other means. Dogs are always attentive to security threats, such as potential intruders or vandals, often detecting and deterring them before they even reach the boundary of the protected site. Guardia’s private function and event security service is delivered with the aim of making each event a success. We can assist in the planning and preparation of your event, including alcohol regulation monitoring and compliance with security and safety requirements. When the event is underway, Guardia’s security professionals can maintain the level of vigilance and visibility that you require; whether it is a uniformed security presence, or a plain-clothed guards monitoring the crowd, you are in control of your event’s security with Guardia. As with crowd control and work function security, private events require a risk-management approach to minimise disruptive influences and behaviour. Our experienced team can assist you in getting the balance right between security and fun to ensure your event is a success from start to finish. Your next work function, party, or event is sure to be a success with Guardia’s event security services. Combining knowledge and experience in crowd control, alcohol regulations and intoxication management, and risk management, we assist you at every stage of the planning and event process to deliver an optimal outcome. Guardia event security guards can assist clients hosting work parties or events by checking guest lists, enforcing alcohol regulations, and pre-empting disruptive behaviour. Coordination of emergency procedures and liaison with local authorities is also a key element of function security. Mobile patrol services are the perfect option for clients who require cost efficiency as well as comprehensive security. By adding your business or property to one of our patrol routes, you are guaranteed access to the level and rate of security you require. Clients are able to arrange for detailed internal checks on their property, or just the standard perimeter check used to control for damage, vandalism, and unauthorised entries, with the level of coverage depending on your requirements and budget. And many more, so long as your location is accessible by vehicle, it is eligible for mobile patrol protection. Our private investigators have the tact and compassion to ease the burden on clients experiencing difficult circumstances, such as incidents of infidelity, fraud, civil legal action, and missing persons incidents. Guardia’s licensed private investigation and surveillance professionals can assist you in building the case you require to push through these difficult situations and getting on with your life. Guardia’s international security services extend to training and advisory roles in addition to active security services. If you looking for a security companies Melbourne, or security services Melbourne today, or security companies Melbourne, contact Guardia Risk on (03) 9863 9701, or send a message and one of our staff will follow up within 12 hours.